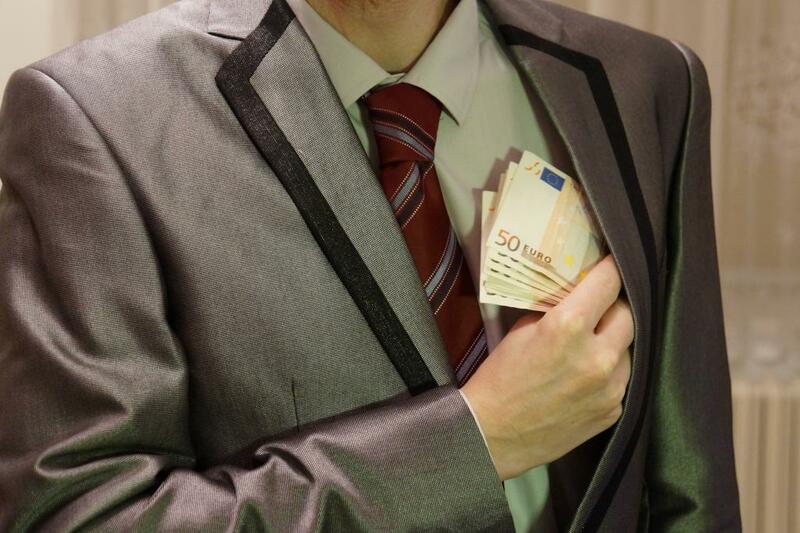 Yesterday it was simply impossible in Germany: "the right to asylum" for bribes. And today this is exactly what investigators suspect, trying to establish why the officials of the Bremen Office of the Federal Office for Migration and Refugees (BAMF) rendered from 2013 to 2016 at least 1200 positive decisions on granting the status of refugees to selected illegal migrants. Without any apparent reason. The investigation is carried out by the Bremen Prosecutor's Office, which, by the way, has a reputation as one of the Salafist centres in Germany. The audit is conducted for 4.5 thousand decisions of the Bremen branch of BAMF. To Bremen attracted special attention because there is the highest rate of positive decisions on asylum applications by migrants - 96%. The average for the country is 62%. This scandal erupted over a month ago. And it broke out in recent days with renewed force after information was leaked to the press that BAMF officials asked the investigators to not exert excessive zeal and not "take the rubbish out of the hut." At the same time, the deputies of the Bundestag from the factions of "Alternatives for Germany" (AfD) and the Free Democratic Party (FDP) are insisting on the creation of a parliamentary special commission to conduct a federal investigation of fraud in the provision of "asylum" in Germany. They, however, do not find support in the rest of the parliamentary parties. In order to avoid political damage and for ideological reasons, they are not interested in attracting more public attention to the divided issue of migrants and "refugees". And what if it is not corruption? Many Germans believe that the dismissal of the former head of the BAMF Bremen management, Josef Schmid, is not enough, and they approve that, with her and a dozen former employees - officials, translators and even lawyers - there is an investigation. They are charged with "bribery" since the police suspect that they issued migrants from all over Germany, who were brought to Bremen by buses, "refugee status" for bribes. The investigation also checks whether the officials acted out of sympathy. Suspicion of corruption, which was previously virtually nonexistent in Germany, is the first thing that comes to mind. There are rumours in the country that the status of a "refugee" can indeed be bought, and in this regard, both specific cities and sums are called. IS it actual or not, it's hard to say, although smoke without fire does not happen. However, most of the cases of positive decisions regarding the granting of asylum in Bremen are reportedly received by the Yezidis. In the Middle East, representatives of this closed religion, created on the basis of Zoroastrianism, are considered by many as adepts of Satan. And in their homeland they were really threatened with death by the hands of Islamists. Meanwhile, the migration authorities of the EU countries are obliged to ignore religion when deciding on the issue of granting asylum. And it is not uncommon for the Yezidis or Christians to be persecuted in the Middle East, but to those who persecuted and tormented them. It can not be ruled out that part of the obtained permits for refugee status was dictated precisely by these considerations, it was an attempt to correct the injustice of the law. According to Bild am Sonntag, in the light of suspicions that the breaches revealed in Bremen are not unique to the FRG, the authorities are checking 13 out of 70 branches of the migration department across the country. It is curious that under suspicion there were branches in which either too many positive decisions were made to provide "shelter" or too many negative ones. Problems have arisen for Jutta Cordt, who heads BAMF since 2017. The Nuremberg prosecutor's office, where the headquarters of this federal agency is based, finds out when the official learned about the scandal and what actions she took to correct the situation. A preliminary investigation has been initiated against Kordt and three other heads of the migration department. This is done, despite the decision of BAMF to check 18,000 positive resolutions on granting asylum to "refugees" adopted since 2000. The head of the Ministry of Internal Affairs in the current federal government is the former chief minister of Bavaria, Horst Seehofer (CSU), who promised to put things in order in the country in the migration sphere, in which there really are a lot of problems: most "refugees" destroyed their documents and abuse trust. Those to whom the authorities refused to grant a "safe haven" usually do not wish to voluntarily leave the country, even at its expense and with a surcharge. Deportation of them often does not work, which discredits the law, especially in the eyes of those who are accustomed to obey the German authorities. Enraged at their migratory fiasco, these "refugees" are especially dangerous and commit the most daring crimes in Germany. New "refugees" feed the already formed Islamist structures in the country and create in aggregate a serious threat to public security. Seehofer wants to correct this situation and has already authorized a number of power operations to deport the particularly problematic "refugees". He promises "to take care of securing law and order in matters of granting asylum in order to exclude possible errors in the present and future." The head of the Ministry of Internal Affairs ordered burgomasters, heads of the district administration and branches of the department for foreigners who are aware of violations of the procedure for granting asylum, to transmit this information to him personally. The Germans expect from their authorities more resolute measures in the migration sphere. Flocking to German social welfare, the dependently inclined pseudo-refugees from all over the world, dismissing their hands, striving to impose their wild customs and traditions on indigenous people, is a delayed action mine against Germany. Trying to clear it and not allow the laying of new mines will be one of the main tasks of any German government in the coming years.